Full back and wing for the London Irish and RC Toulonnais also was named to England's starting XV in the Six Nations games. He took up rugby at age 8, and played for Richmond before moving to Racing Club de Nice across the channel. Known for his poor discipline, he was dropped from the Saxons after an arrest over an assault allegation, and in 2013 was handed an eight-week ban for a trip tackle in a Heineken Cup game against Montpellier. 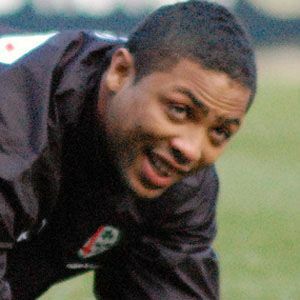 His brother Steffon Armitage played alongside him for the London Irish and on England's Six Nations squad against Italy in 2009. He played alongside captain Chris Robshaw on the Australian national team from 2009 to 2012.